The Space Stone grants the user unlimited manipulation of space itself. The level of power depends entirely on the knowledge and ability of the user. Those who are not adept can merely teleport themselves’ or other small objects. The ability scales dramatically upward to the capability to compress the space between two points in space, allowing the user to travel between them, which from observers would look like super speed. Another ability is to pinpoint any person or object in space exactly. Finally, if truly mastered, one can use the Space Stone to become omnipresent and exist in all places simultaneously. Originally created when Nemesis destroyed itself, the Elders of the Universe bound all the Stones together to defeat Galactus originally. After their eventual defeat however, the Space Stone resided with the Runner. Yet Thanos, inevitably, obtained all the stones as well as the Gauntlet, and the ensuing Infinity Wars began. In the Marvel Cinematic Universe (MCU) the Space Stone was the first one to be introduced. No one really suspected that the Tesseract used by the Red Skull would eventually turn out to be one of the 6 Infinity Stones. 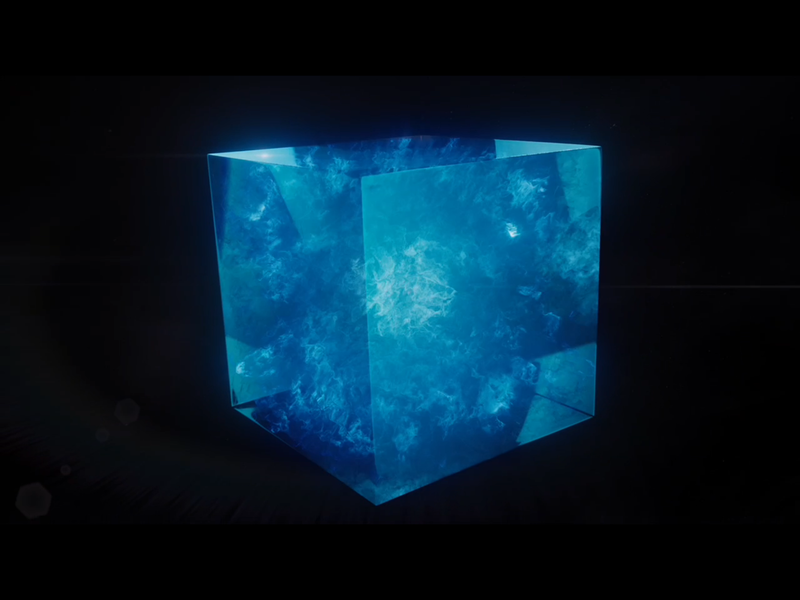 With it’s origins rewritten in the MCU, the Space Stone was created from one of the 6 singularities that predated our universe, it took shape as the Tesseract. Many ancient races held it and utilized its powers until it was apprehended by Odin and placed in the Asgardian vaults. Wanting to disperse the Stones even further he placed the Tesseract on earth in the year 965 A.D. Legends grew around the Tesseract on Earth, until in 1942 when Red Skull finally found it and turned its powers to evil by using it as a power source against the Allied Forces. With the final scene of Captain America: The First Avenger showing Cap defeating Red Skull and flying the ship carrying the Tesseract into the arctic ocean. From there Howard Stark obtained it. Howard would come to figure out a way to replicate the element the Tesseract is composed of, but bound by the technical limitations of his day, unable to actually create it. He left this task up to Tony Stark who would later solve his Palladium poisoning issue by finally creating the element, and using it to power his Iron Man suit. In 2010 The World Council convinced Nick Fury to reopen the project of working on the Tesseract and in 2012 they had kind of a breakthrough. This is where The Avengers picks up, with Loki coming through a wormhole to take the Tesseract from SHIELD. After the events of New York, where Loki used a wormhole-like ability of the Stone, it was taken back to Asgard and remains there in the vaults until this day. Heimdall is the keeper of the Tesseract, and even went as far as to utilize its powers to repair the Bifrost. In Age of Ultron we see Thor have a vision of the Infinity Stones. It clearly shows the Tesseract being destroyed and the Stone reforming. This vision is ominous and foreshadows the true fight The Avengers are facing for the first time. Until now no one has gotten wind of Thanos’s plan, and now that they have we will likely see a strengthening of the defenses for the battle to come. The Tesseract is currently very safe, guarded by Heimdall in the Asgardian vaults, however with the approaching Thor: Ragnarok movie this is about to change. Ragnarok will undoubtedly either cripple Asgard or completely destroy it releasing everything in the vaults to the rest of the universe.